Despite Russian efforts to confound Ukrainian counteraction, Ukrainian forces were successful at pushing back Russian and partisan forces to the boundaries of the Donetsk and Luhansk oblasts. Ukrainian success in these early operations triggered a transition in the war- Russia became far more aggressive in response. As a result, Russia unleashed conventional warfighting capabilities, techniques, and force structures not recently seen on modern battlefields. Likewise, the Russian army became more overt in its presence and began to funnel more armored and mechanized combat systems into the Donbas, to include the venerable T-80 and T-90 main battle tanks. 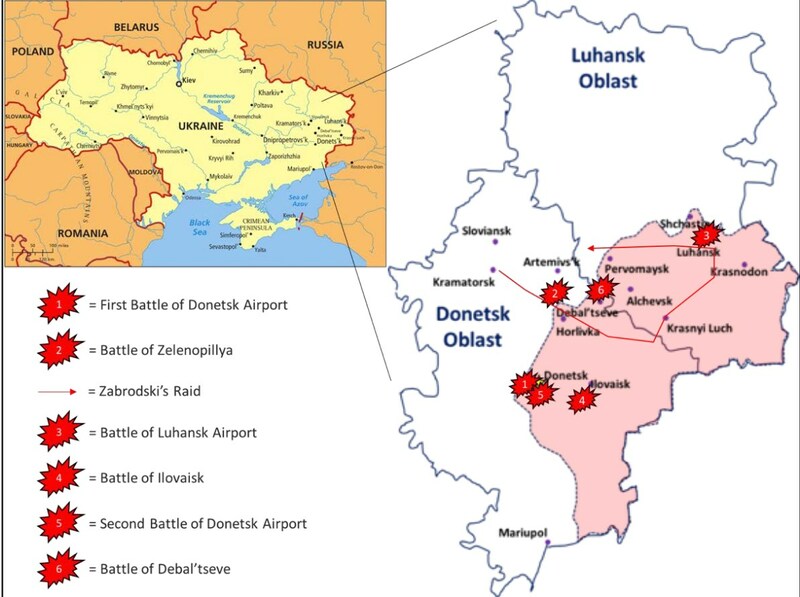 In response to the shifting momentum following the battle of Zelenopillya, Ukraine launched an armored raid into the Donbas, seeking to thwart Russian initiative, weaken DPR and LPR partisan forces, and assist a beleaguered Ukrainian formation isolated at the Luhansk airport. Analyst Phillip Karber called the raid the longest armored raid in history, as the Ukrainian 95th Air Assault Brigade, under command of Colonel Mykhailo Zabrodskyi, penetrated the Russian front and wreaked havoc deep within the Russian-controlled region. The raid resulted in a two hundred-mile excursion through Russian and partisan held territory in which Zabrodskyi’s 95th Brigade scored a number of tactical successes. “Zabrodskyi’s Raid,” as the mission became known, launched from the ATO headquarters in Kramatorsk and advanced south and east along highways H21 and E50. Zumbrowskyi’s 95th Brigade fought conventional ground combat with Russian and partisan forces at Bakhmat, Debal’tseve, Saur-Mogila, and Luhansk. The 95th Brigade, being an Air Assault brigade, was significantly augmented with tanks, mechanized infantry, and self-propelled artillery to support the operation. Additionally, Zabrodskyi led the brigade through a contested river crossing on Highway 21 along the Mius River, outside Krasnyi Luch. Following the successful river crossing, the 95th Brigade fought its way through Krasnyi Luch in route to Luhansk. The 95th Brigade’s combat at Luhansk centered largely at the airport and was conducted from July 13-24, 2014. Fighting at Luhansk, the 95th Brigade, consisting of approximately sixty to seventy tanks and infantry fighting vehicles had two objectives. First, it was to assist the encircled Ukrainian unit and prevent its destruction. Second, the 95th Brigade was to regain control of the airport from Russian and partisan forces. On July 13, 2014, Zabrodskyi’s brigade penetrated the Russian defensive perimeter, reached the airport, and made contact with the beleaguered Ukrainian forces defending the airport. Ukrainian forces conducted joint operations, employing their air force in conjunction with the 95th Brigade to attack the Russian defenders at the airport. The unified action of the Ukrainian armed forces loosened the grip Russian forces maintained around the airport, allowing the trapped formation to extricate themselves. As part of this effort, Russian forces employed air defense missiles to deny Ukrainian forces resupply at the airport and to disrupt their ability to conduct joint operations. As a result, the Ukrainian air force lost two aircraft, an An-26 on July 14 and a Su-25 on July 16. Additionally, two more Su-25 aircraft were downed by Russian air defenses on July 23 at Saur-Mogila. 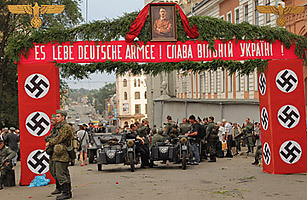 However, exhausted and out of supplies, Zabrodskyi’s 95th Brigade culminated on July 23. Later that day the force withdrew from the Luhansk airport, returning to the relative safety of Kramatorsk. Zabrodskyi’s raid succeeded in arresting Russian offensive action, but only briefly. 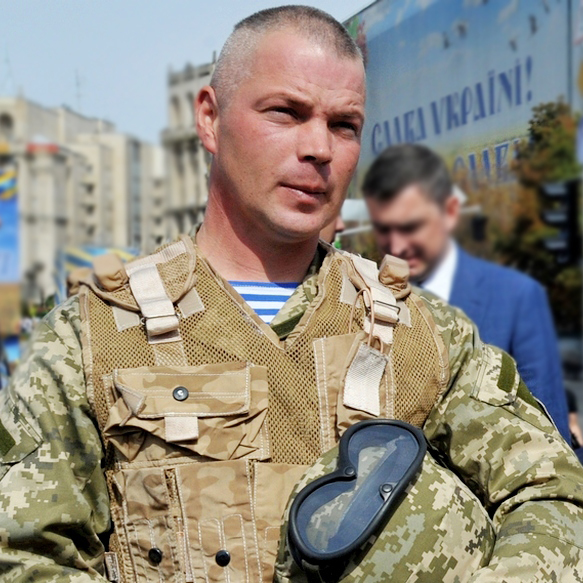 The raid also succeeded in relieving the isolated Ukrainian force at Luhansk airport, but the mission failed to wrest the facility from Russian control. When the Soviets advanced into eastern Germany, the Nazis tried to quickly evacuate the jet factory. But by then, it was too late for the jet to have much effect on the outcome of the war. At the very end of World War II, Nazi dictator Adolf Hitler still hoped that state-of-the-art technology could turn the tide in his favor. 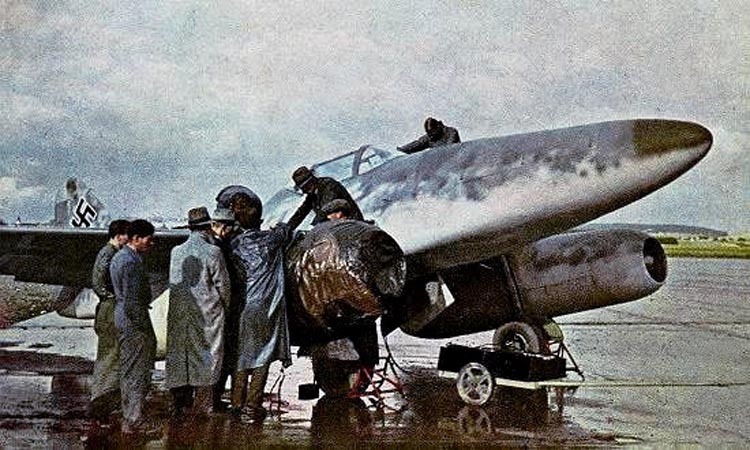 One of those projects, the Messerschmitt jet fighter, found a home in a remote corner of eastern Germany. But it was too late. It took four and a half years, but finally, on March 20, 1944, World War II — and more specifically, the armaments industry — came to a remote corner of eastern Germany called the Lausitz. As the Allies flew an ever-increasing number of air raids over Germany’s industrial and urban centers, large weapons factories in Nazi Germany began an exhaustive search for suitable places to relocate — sites as inconspicuous and isolated as possible. Indeed, by 1943, Hermann Göring, commander of the Luftwaffe, had already forged plans to relocate the aviation industry to areas the Allies were unlikely to bomb. It took a year, but then Junkers, an airplane and engine manufacturer from Dessau, moved into a factory belonging to the Moras Brothers textile company in Zittau, which today is located near Germany’s border with Poland and the Czech Republic. Disguised as a company called Zittwerke AG, it was far from run-of-the-mill as far as armaments factories go. Zittau was to be where the world’s first production-ready jet engine would be completed, the same engine that was to power Hitler’s secret weapon, the Messerschmitt Me 262 jet fighter. Jürgen Ulderup from Junkers’ Dessau production site was tasked with taking over as plant manager in Zittau. He immediately set up a network of manufacturing plants throughout the region, all top secret. Key to getting the project off the ground was his demand that 18 long-established textile producers make space in their factories for armaments production. Some companies had to turn over their factories in their entirety. It proved a further blow for the region’s textile industry, already largely crippled and converted to the war economy. But winning the war took priority, and the remote corner of Nazi Germany now began producing components for the clandestine jet engine. Ulderup hired over 2,500 employees and put them to work in the Zittwerke plants, under the direction of aviation industry experts. They worked in the Moras factory, the Haebler Brothers textile company in Zittau, the Rudolf Breuer mechanical weaving mill in Reichenau, the Kreutziger & Henke company in Leutersdorf, the Ebersbach spinning and weaving mill, and at 13 other factories located in regional towns and villages. But the core of the enterprise was to be found on the grounds of a former World War I prisoner of war camp in the present-day Polish town of Porajów — a camp which had been converted for use by the German armed forces. The factory, guarded by the 17th SS “Totenkopf” battalion, simply moved into several half-finished barracks. Deep in the heart of the compound, behind several rows of barbed wire, was the administration building where a detachment from the Gross-Rosen concentration camp was housed. Along with prisoners of war and the so-called “Eastern workers” — forced labor from countries such as the Ukraine — over 850 concentration camp prisoners did most of the work in the Zittwerke factories. Not long after Junkers had settled in, the sound of industry filled the Neisse River Valley day and night. Rumors of a “miracle weapon” circulated among the local population, but no one knew exactly what the factory produced. It wasn’t until final assembly that the object in question could be recognized for what it was: a special turbojet engine for a new type of jet fighter. Technicians had already tested the engines. 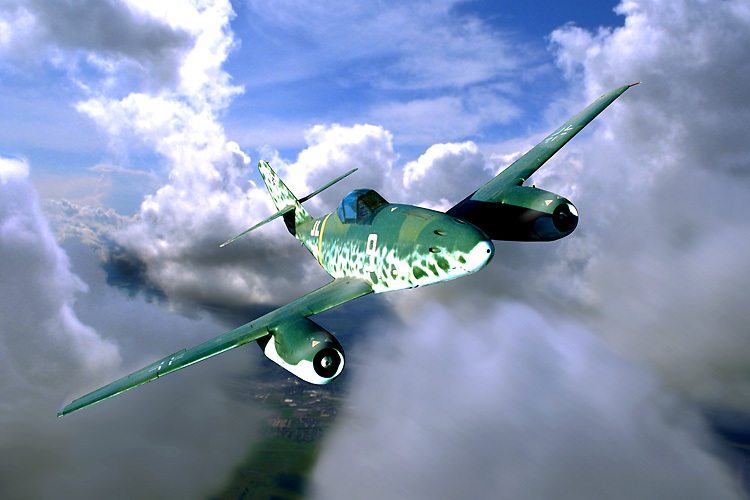 A Messerschmitt plane, the Me 262-V 1, powered with a Junkers Jumo 004A-0 jet engine, took to the air as early as March 2, 1943. The test proved successful. And before long, the Zwittau factories mastered all aspects of the jet engine’s production, from pre-assembly to shipment. The factories were well connected to the Third Reich’s rail network, with covered freight cars lugging the completed engines — once they had passed inspection — to the south. There, in the forests surrounding the Bavarian towns of Regensburg and Augsburg, workers installed the new engines into the jets. A converted Autobahn nearby served as a runway from which the shiny new Me 262s took off for their test flights. Only then would they be loaded onto freight trains for delivery to the Luftwaffe. The Nazis had high hopes for the new jets. By the beginning of 1945, with the Russians closing from the east and the US and Britain marching in from the west, it was clear that Germany faced a catastrophic defeat, but the Nazi leadership refused to give up hope. On February 28, 1945, Propaganda Minister Joseph Goebbels announced to the nation that Germany’s “miracle weapon” would soon turn the tide of the war. For Zittau, however, indications were mounting that it would be too late. The day before the Goebbels speech, the city of Görlitz just north of Zittau had been declared part of the front. Workers in the jet engine factories could already hear the thunder of enemy guns. It wasn’t long before the hectic evacuation got underway. A Wehrmacht counterattack near the present-day Polish town of Luba on March 7 and 8, 1945 managed to push back the Red Army. But after heavy losses on both sides, the Soviets halted the German advance, such as it was, and the factories ceased production. Given the importance of the jet engine project, it didn’t take long for evacuation of both workers and factory machinery to get underway. In early March, two special trains carrying the most vital elements of the production chain made their way from Zittau to the west, one on the 6th and another on the 10th. They ultimately ended up in the town of Nordhausen, located in the state of Thuringia, some 100 kilometers west of Leipzig. Luftwaffe soldiers, who had guarded the Zittwerke’s various factory locations producing jet engines for the Me 262, also boarded the train in Zittau. Two trains with over 500 people left directly from the factory premises for Halberstadt in Saxony-Anhalt. A final train, belonging to the Wehrmacht, left on April 30, just days before the end of the war, presumably carrying the last of the military units. The role Zittwerke plant manager Jürgen Ulderup played in the deaths remains something of a mystery. According to his own reports, Ulderup fled by bicycle from Zittau to Osnabrück in western Germany in the last days of the war, with a backpack crammed full of copper bars. His driver, along with his company car, had long since disappeared, according to the former Nazi plant manager. Today only a mass grave in Zittau’s women’s cemetery provides a reminder that the so-called “miracle weapon” was produced locally. A well-kept lawn covers the area behind the cemetery wall, where civilian victims of World War II are buried. They include the prisoners and forced laborers who sweated away in Nazi Germany’s final attempt to turn the tide of onrushing World War II destruction. Inspection of Trawnikimänner by Karl Streibel at Trawniki. They were tasked with the liquidation of Jewish ghettos in occupied Poland. Trawniki was a unique dual-purpose camp whose role in the Holocaust was of great significance yet its name is little known beyond academic specialists and war crimes lawyers. It was originally established in July 1941 in the grounds of an abandoned sugar factory as a detention facility for special categories of Soviet POW: those considered either especially dangerous or potential collaborators. It then became a training facility for SS auxiliaries from the territories of the USSR (primarily Ukrainians) in September. They were initially drawn from the captured Soviet conscripts but later included a substantial number of volunteers. The `Trawnikis’, known to the Germans as Hiwis (from Hilfswillige, volunteers), became notorious for their role as guards in the Aktion Reinhard camps. They were also deployed in camps such as Poniatowa and Janowska and used in ghetto clearance operations in major cities. Trawniki was thus crucial in supplying the SS with the manpower it required to implement the Holocaust. Odilo Globocnik, SS and Police Leader in Lublin, Poland. Unable to satisfy his manpower needs out of local resources, Globocnik prevailed upon Himmler to recruit non-Polish auxiliaries from the Soviet border regions. The key person on Globocnik’s Operation Reinhard staff for this task was Karl Streibel. He and his men visited the POW camps and recruited Ukrainian, Latvian, and Lithuanian “volunteers” (Hilfswillige, or Hiwis) who were screened on the basis of their anti-Communist (and hence almost invariably anti-Semitic) sentiments, offered an escape from probable starvation, and promised that they would not be used in combat against the Soviet army. 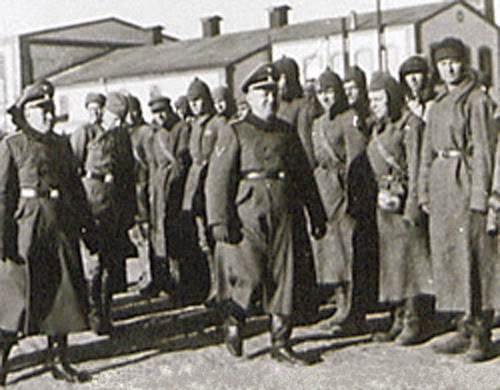 These “volunteers” were taken to the SS camp at Trawniki for training. Under German SS officers and ethnic German noncommissioned officers, they were formed into units on the basis of nationality. Over the next two and a half years, 2,000 to 3,000 easterners (mainly Ukrainians) were trained at Trawniki. They formed the bulk of the men running the death camps. On average, only 20 to 35 German SS men were stationed at each camp. Each camp was normally commanded by an SS captain, with perhaps one lieutenant present as a deputy commandant. All of the other SS men were sergeants; there were no SS privates in the camps. During the Holocaust the Germans were also fighting major military campaigns on which their survival depended. Their manpower was stretched very thin, but they were at first reluctant to recruit large numbers of fighting forces among the “inferior races” of Eastern Europe. They were, however, entirely prepared to make use of volunteers to assist in genocide. In the Baltic States (Latvia, Lithuania, and Estonia) and the Ukraine, right-wing nationalist groups welcomed the Germans as liberators from “Jewish Bolshevism” and launched pogroms against the Jews either independently or under the benevolent gaze of the Wehrmacht. Organized variously as patriotic militias or “self-protection” units, they killed thousands of Jews and so impressed the Germans that the latter formed them into Schutzmannschaften (police) battalions under the command of German officers. These collaborators were encouraged to recruit volunteers from among their countrymen in German prisoner of war camps. The Germans called those who stepped forward Hilfswillige (volunteer helpers), Hiwis for short; eventually they came to number in the hundreds of thousands. After receiving training at SS camps such as Trawniki in eastern Poland, most of them assisted German order police in various actions against Jews, Gypsies, and partisans. The Germans found that they could usually rely on the Hiwis to perform the least pleasant tasks, such as flushing Jews out of ghetto hiding places and shooting on the spot those too frail to walk to deportation vehicles. Other volunteers became guards at camps and ghettos all over Eastern Europe. More than three quarters of the guards at Treblinka, Bekzec, and Sobibor were Hiwis. Eventually, in 1943 and 1944, Hitler authorized combat units made up of Eastern European volunteers, including two Waffen SS divisions made up of Latvians and one each of Ukrainians and Estonians. The Nazi officers stroll down Kiev’s main boulevard through cheering crowds and accept the welcoming gift of bread and salt offered by women in Ukrainian national dress. A man in the crowd nods approvingly. “There will be order,” he says in Ukrainian. This is one of many scenes in a World War II soccer film that have riled Ukrainians as their country prepares to co-host the European Championship, the world’s second-biggest soccer tournament after the World Cup. The film, Match, which was made in Russia and released earlier this month in Ukraine, tells the story of a soccer game organized in Kiev in 1942 against the backdrop of the Nazi occupation of what was then the Soviet Republic of Ukraine. A team of locals beats a team comprised of Germans — and some of the players are later killed for refusing to throw the match. The film, which received a majority of its funding from the Russian government, is typical war-movie fare, with a tough-talking hero, a simpering heroine and underhanded villains. But what sets it apart from others in the genre is the portrayal of most of the Ukrainian speakers in the film as Nazi collaborators and sympathizers. The mayor of Kiev is depicted as a weak Nazi stooge who tries to steal the Russian-speaking hero’s girl. Ukrainian guards help Nazi killers at Babyn Yar, the ravine in Kiev where tens of thousands of Jews and others were massacred. Ukrainians have reacted with outrage at such portrayals. Many call the film an attempt to humiliate the country, which was ruled for centuries by Moscow but is now trying to wriggle free of the Kremlin’s grip and form closer ties with Europe. Ever since Ukraine declared independence following the collapse of the Soviet Union in 1991, Russia has fought hard to keep the country in its sphere of influence. Russians trace the origins of their nation back to Kiev, which gives Ukraine a special meaning in the national psyche, and one of Moscow’s favored tools has been to appeal to the countries’ common history and culture. Ukrainian film officials initially said they would ban the movie over fears it might stir up ethnic tensions ahead of the Euro 2012 championship, which kicks off June 8. They eventually relented, but when the film premiered in Kiev on April 26, activists from the nationalist Svoboda party broke up the event. “Out, Muscovite occupiers!” “Shame on Ukrainophobic films!” a group of around two dozen young men chanted as they tore down posters advertizing the film. Even the events surrounding the match are in dispute. The so-called “Death Match” depicted in the film took place on Aug. 9, 1942, between a Soviet team called Start and Germany’s Flakelf. According to the Soviet version of the story, Start players were warned that they should lose or face dire consequences. After they won the match 5-3, some of the players were sent to a concentration camp and shot. The story became legend in the Soviet Union, where it was used as a patriotic tale of loyalty and resistance. Ukrainians, meanwhile, lament the fact that no film has been made locally about the World War II match. “We don’t have our own film industry or any filmmakers with financing who can present real, complicated stories with different shades to allow the viewer to decide,” Faryna says. If Ukraine could do that, it would be one way to show Russia that it is truly independent.